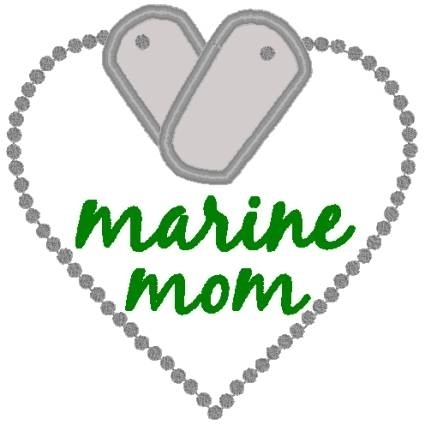 Marine Mom Applique - 3 Sizes! This is a wonderful design for a military family. The dog tags are applique. Includes 4x4, 5x7 and 6x10 sizes. Marine Brat Applique - 3 Sizes! Finish Size 3 (5/8)" x 3 (5/8)"
Finish Size 4 (13/16)" x 4 (7/8)"
Finish Size 5 (7/8)" x 5 (15/16)"